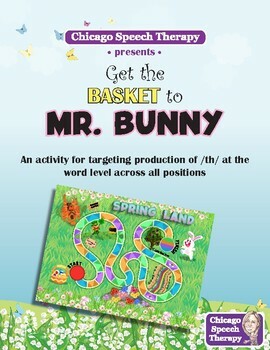 Get the Basket to Mr. Bunny is an interactive board game that will leave your kiddos on the edge of their seats as the race to Mr. Bunny begins! 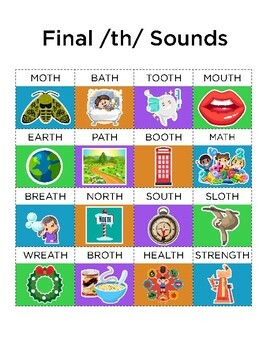 This board game comes with materials to target production of voiceless /th/ across initial, medial, final, and mixed positions of words. Uh oh! While taking a walk through Spring Land, Mr. Bunny lost his basket! Encourage your clients to bring Mr. Bunny’s basket back to him by using their best speech. First, take turns picking a card from the deck. Then, practice the word on your card. 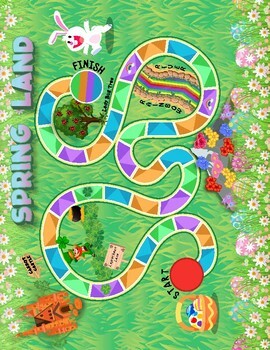 Last, move to the spot on the game board that corresponds to the color of your card. The first person to bring the basket back to Mr. Bunny wins! My name is Karen George, MS, CCC-SLP, a pediatric speech-language pathologist based in Chicago, Illinois. 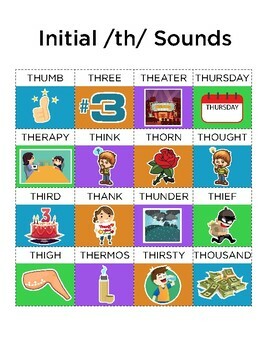 8 years ago, I opened Chicago Speech Therapy, a premier private practice in the city. Since we opened our practice, we have grown to a thriving multidisciplinary team of more than 100 employees offering speech, feeding, ABA, and occupational therapy, as well as an on-site therapeutic preschool and kindergarten, CST Academy. I am incredibly proud of our team and the incredible gains we help children make each and every day. I hope you find my materials beneficial in your practice as well!